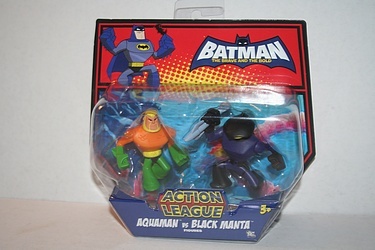 Another excellent Action League 2-pack from the Batman - the Brave and the Bold figure series, today let's check out Aquaman vs. Black Manta! I continue to love the styling of Aquaman in this series - and it carries over to the Action League scale very well - another solid set from Mattel. Click the image for some more pics, and the mini-bio on the card back!